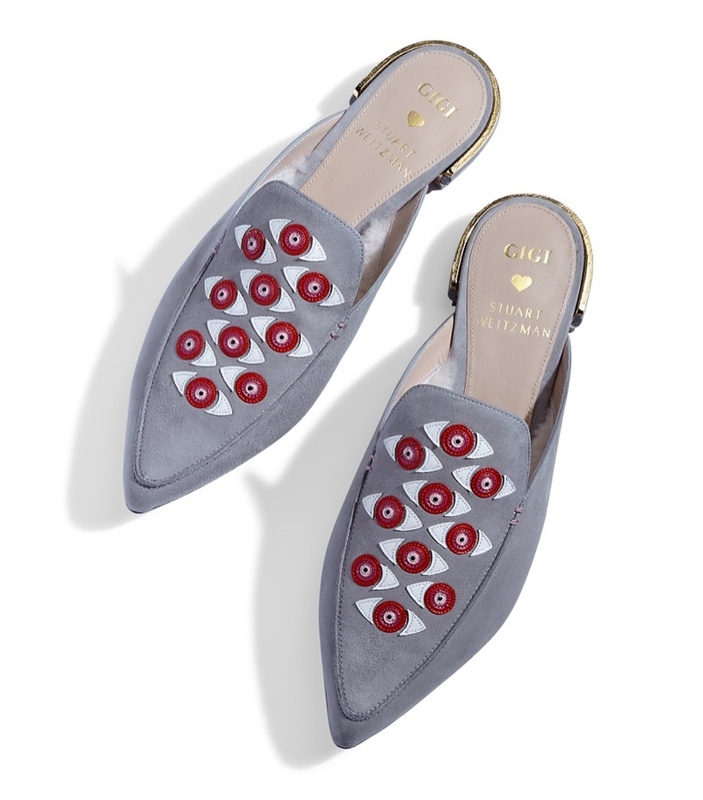 One of Glamour Magazine's Women of the Year, Gigi Hadid brings her second collaboration with Stuart Weitzman. 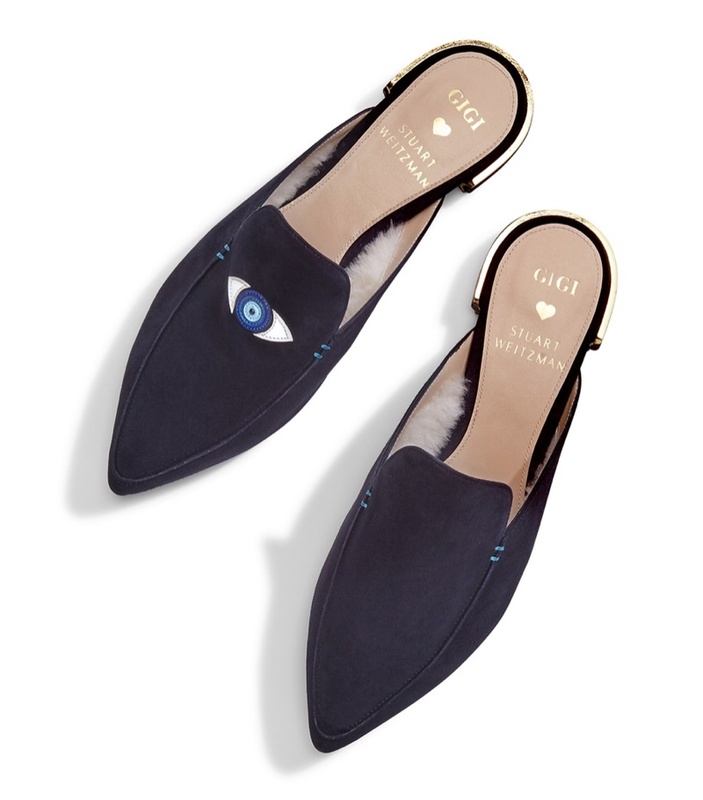 The American model collaborates with the high-end footwear and accessories label on the Eyelove Collection, which offers chic mules. 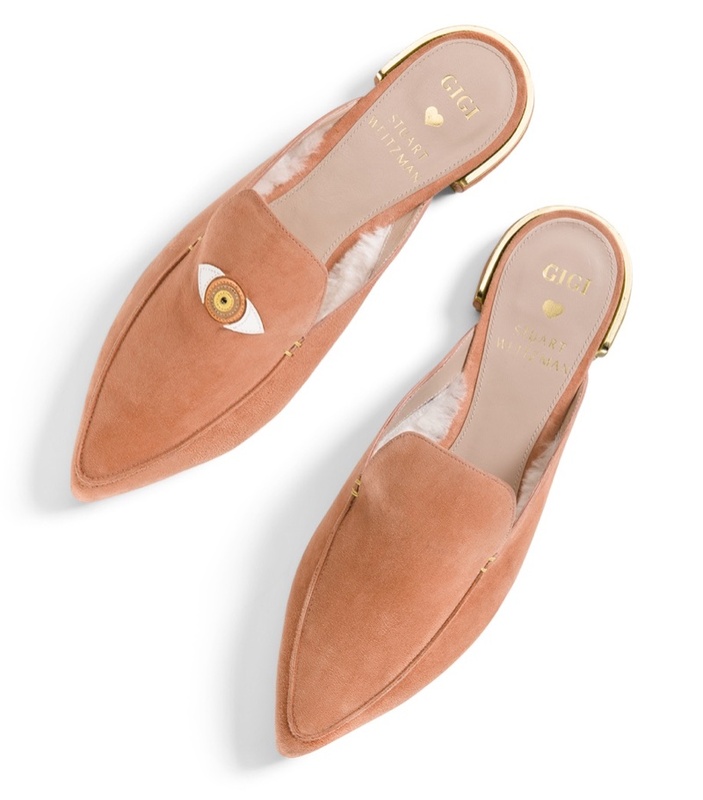 Gigi, who is also the face of Stuart Weitzman since some seasons, takes inspiration from the mystic evil eye symbol, and offers designs in luxe suede with low metallic heels. Colours of the collection include navy, grey and tan, and the prices of the designs range from $498 to $598. Gigi is also seen walking about town in her stylish mules in a video advert for the collaboration, titled 'The Season of Loving', directed by Cameron Duddy.